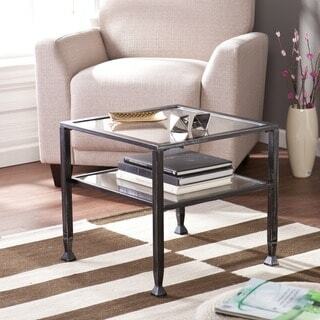 This cocktail table is composed of a durable sharp-angled metal frame along with two clear glass shelves for storage and beauty. Conveniently compact, the attractive and practical piece provides looks and storage in any corner or open area of the home. Please note: One table is included per order.